Don't risk non-compliance, fines and criminal charges for your lighting installations. As accredited UK experts, we advise on installations of all types, ensuring you meet and exceed every government requirement. 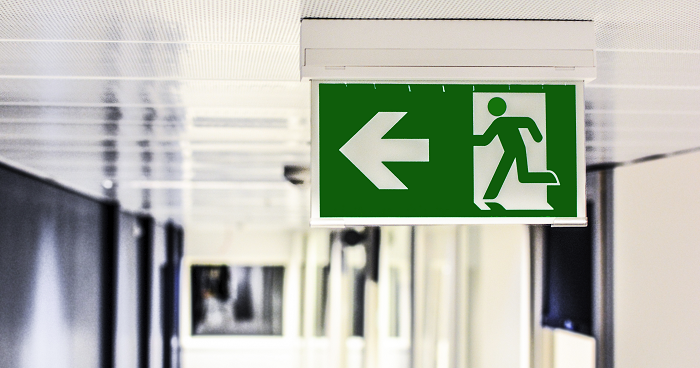 Emergency lighting is a fundamental system for any building to ensure the safe evecuation in case of an emergency. Emergency lighting is a standalone battery-operated backup system that does not rely on general electricity in order for it to operate. It must always be functional and ready for use at any given time. All of our emergency lighting solutions are designed to meet the legal requirements for individual applications, ensuring the safety of your staff and your building. Self-contained or Centrally Supplied System? There are two ways you can safely install emergency LED lighting, either with self-contained units or a lighting system that is centrally supplied from a battery source. Self-contained emergency lighting means that each individual lighting unit contain their own battery backup power source. Centrally suplied emergency lighting uses backup power from a central battery system and is shared amongst a group of lights. We provide emergency LED lighting from Teknoware that can be operated in both of these ways. Teknoware offers emergency lighting products from individually packed self-contained luminaires for the smallest of properties to centrally supplied and fully monitored systems for the most demanding applications. 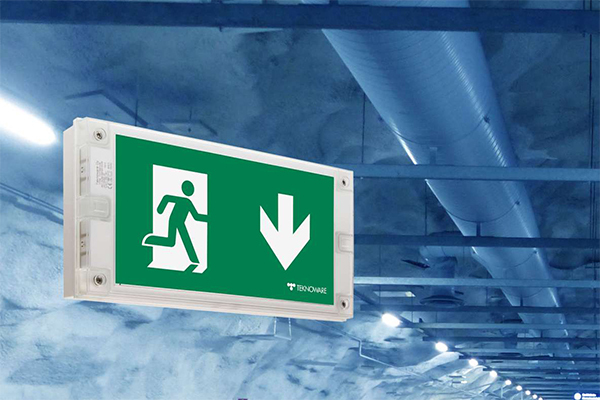 Teknoware has more than 45 years of experience and is one of leading emergency lighting manufacturers in Europe. Their emergency lighting systems have been build for buildings, ships and other locations with products covering exit lights, emergency lights, central battery systems, emergency lighting monitoring systems and central monitoring softwares, control electonics, spare parts and much more. Teknoware’s expertise and own product development and manufacutring of both the electronic units and end products always guarantees compatible and non-compromised solutions. Designed for the most demanding and challenging environments, we can build customised emergency lighting systems for any building or application. Our experienced design consultants have fitted lighting engines, retrofit luminaries and high voltage assets across international sites. Whatever the environment, our expert consultants can help. Our project managers fit our lights into your existing site-wide style, matching legacy assets, listed buildings and facilities, and sensitive supply and fit installations. We offer the best emergency systems which meet all UK and (if relevant) London fire and safety requirements. Don’t risk a non-compliant installation. Contact us and find out what your requirements are. Industrial solutions for demanding environments including street layouts, signage, heavy footfall areas, water prone installations and more.